We are a people with a long memory of our roots in the Land of Israel, a people that reminds itself on a regular basis of the hope of "next year in Jerusalem". Within this sacred land, our prophets called out for justice, peace and mercy and our ancient sages developed the Judaism that we practice in our homes and congregations. The language of Israel, Hebrew, is the language of our sacred texts; the holidays of our holy calendar are derived from the agricultural and geographic climates of the Land of Israel. Judaism without Israel would be like a tree with no roots or branches. Each month, from September to June, our ShinShinim lead an interactive session on various aspects of Israeli culture. Come out to experience their creativity as they engage us with an evening of learning and fun. Temple Har Zion continues to participate in the UJA’s Israel Engagement Program by embracing and hosting two young Israeli leaders who have chosen to defer their army service for one year to volunteer in the GTA. Our ShinShinim work diligently and tirelessly to plan engaging programs for our Temple community. Just as they are thrilled to teach us about Israel and share their lives with us, we too are honoured to share ours with them. They are often surprised to learn just how much the diaspora cares about their home, and are also often amazed to learn that we consider Israel our home, too! They are actively involved in THZ, teaching at our school and offering programs for the adult community. 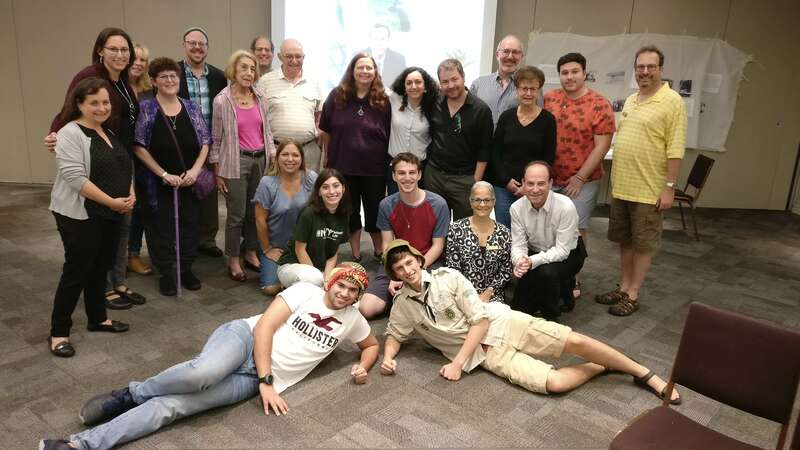 Learn from them by attending Shabbat services when the ShinShinim offer a D’var Israel, and participating in the Israel Culture Club programs that they run on a monthly basis. In addition, they spend three days a week at Leo Baeck Day School North, one day a week at UJA Federation, as well as time with BBYO programming and participating in events for the youth movement. We look forward to their monthly Israel Culture Club sessions for members of all ages to enjoy these two young wonderful men teaching us about their culture.